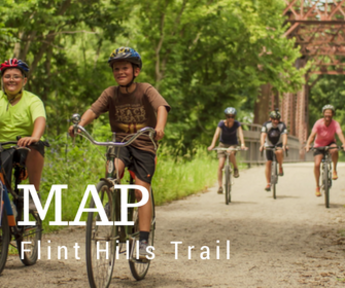 The Flint Hills Trail is the longest of Kansas’ 3,000-plus miles of public trails. 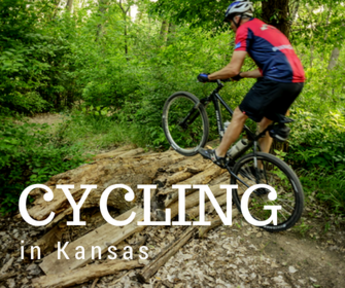 Its history is equally impressive, and a testament to the dedication, generosity and ingenuity of a small handful of Kansans who saw the possibilities for a multi-use, destination trail. The Council Grove businessman said for over a century trains traveled what’s now the Flint Hills Trail. The last train ran the line in the early 1990s. Rails and ties were soon removed. Trees and brush quickly reclaimed the pathway. Trail supporters have collectively spent tens of thousands of hours in labor working on the trail. Countless tons of finely-crushed limestone have been added to the rock that was already part of the old rail line. When packed and rolled the result is a surface so smooth babies can nap away while their parents push a stroller for miles. Bridges built strong enough to support trains have been updated or replaced. The trail’s segment from Council Grove to Herington is still closed for construction. When completed, it will stretch the Flint Hills Trail to 117 miles. 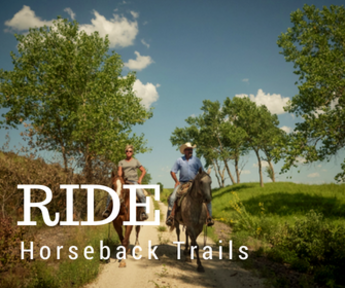 The trail already has a number of trailheads and parking areas large enough for those with big rigs towing horse trailers. It’s possible camping areas could be built at trailheads, as well as more restrooms, informative kiosks. Apart from a girl with ruby slippers, tornadoes and a lot of agriculture, many visitors to Kansas..